I thought she got thypoid after drinking the bad water in Petersburg! It came from drinking water at the Winter Palace, and it was Typhoid Fever, Typhus....in early 1913. One of the reasons they avoided the Winter Palace was the problem with drains and the water in the palace. This was as much of a reason for avoiding the palace as anywhere else. The Alexander Palace had a good source of water and excellent plumbing thanks to Danini's constant improvements. After Nicholas II almost died from it at Livadia staying away from potential infectious locations was a fixation of the court. This was one of the reasons old Livadia was eventually torn down. I know vaguely about Typhoid, but what does it consist of? Is it like a deadly version of the flu? I remember reading that when Nicholas got Typhoid, little Maria was so sad and crid when she heard about him..and she was desperate to see him. But for safety, it was prevented. 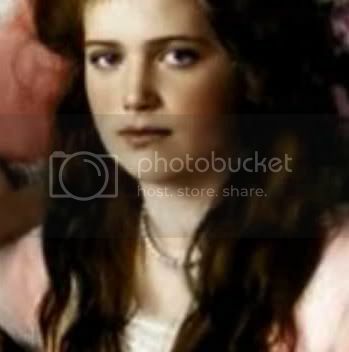 In fact, wasn't that when Nicholas's brother Mikhail was offically appointed tsar in the event Nicholas died because Alexei was so young, or was it Alexandra who would be a regent until Alexei was old enough? When George died in 1899, Michael became heir to the throne until a son was born to Nicholas. When Alexei was born in 1904, Michael was named Regent in the event of Nicholas dying before Alexei reached manhood. 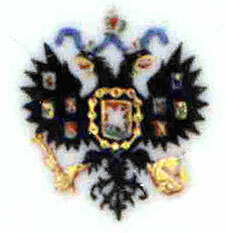 Alexei could not reign in his own right until he was sixteen. When Nicholas had fallen ill with typhoid in 1900, Allix expected their fourth child, this could be the long awaited son. If Nicholas died, Michael would be Tsar. Alix refused this because if the baby would be a boy, the child should be declared Tsar and in the meantime she would rule Rusia as Regent. The prime minister Count Witte, opposed such idea and supported Michael. At the end Nicholas recovered and their fourth child was a girl; Anastasia. But what has this to do with Tatiana's illness? I asked because Tatiana's illness of typhoid was the same as Nicholas's bout of typhoid earlier on. "The incubation period is usually 1-2 weeks and the duration of the illness is about 4-6 weeks. The patient experiences poor appetite, headaches, generalized aches and pains, fever, and lethargy. Chest congestion develops in many patients and abdominal pain and discomfort are common. The fever becomes constant. Improvement occurs in the third and fourth week in those without complications. About 10% of patients have recurrent symptoms (relapse) after feeling better for one to two weeks. Typhoid Fever is treated with antibiotics which kill the Salmonella bacteria. Prior to the use of antibiotics, the fatality rate was 10%. Death occurred from overwhelming infection, pneumonia, intestinal bleeding, or intestinal perforation. With antibiotics and supportive care, mortality has been reduced to 1-2%." This thread is very interesting! I appreciate all the information on both Tatiana and Nicky. I heard once that it was Orangeade, but after reading around the forums, I realized it was water. This is a really neat thread! It was Orangeade, but it was made with the bad water of St. Petersburg. Oh my goodness,I never heard about this!Wow,this is interesting info!